Torrevieja salt lakes are an idyllic spot where flora and fauna come together in a unique environment. The visual spectacle is guaranteed in the form of warm and soft tones worthy of one of the most beautiful sunsets that can be seen. Torrevieja salt works started operating in the 13th century and the salt lakes are believed to have medicinal properties. 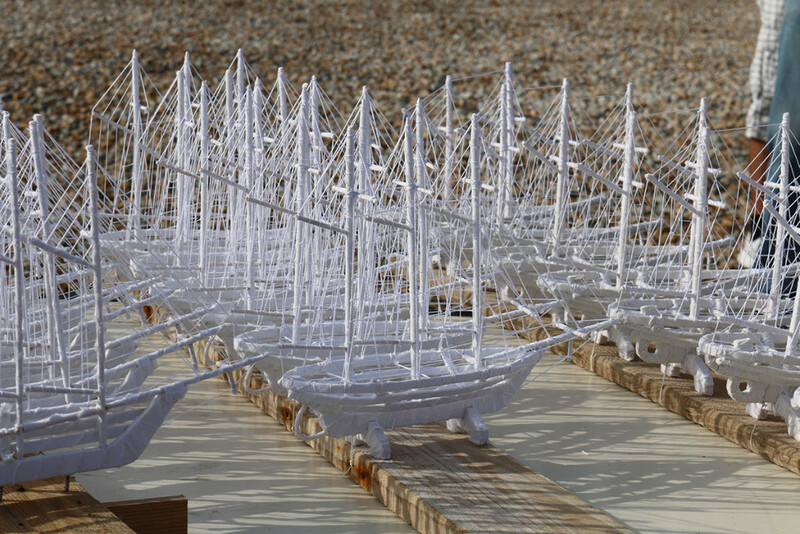 Salt boats are one of the oldest crafts traditions of Torrevieja. These wooden boats are covered with white cloth interlaced with white thread to form the sails. The models are placed in salt for around three days and come out crystallised in salt. This ancient technique has derived from the meticulous work of craftsmen throughout the years. These little sculptures are carefully handmade and retain the old charm of traditional handicraft. Once the boats have been removed from the salt, they are left to dry under the sun for a few days until they lose the pink colour and turn completely white. You can get one of these souvenirs when you come to holiday in your Torrevieja property!